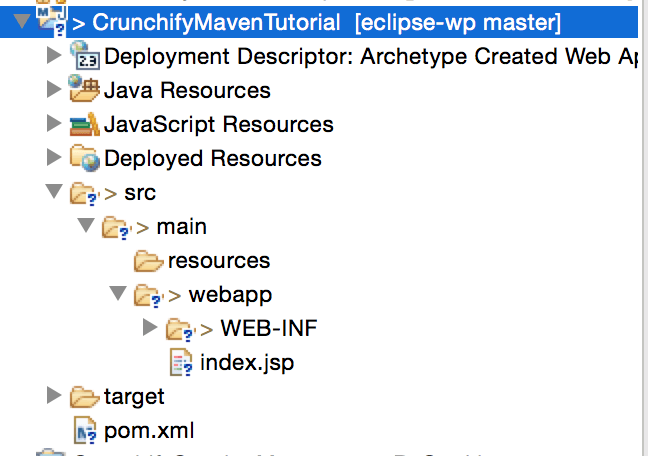 Blog Eclipse IDE Tutorials How to Create Dynamic Web Project using Maven in Eclipse? 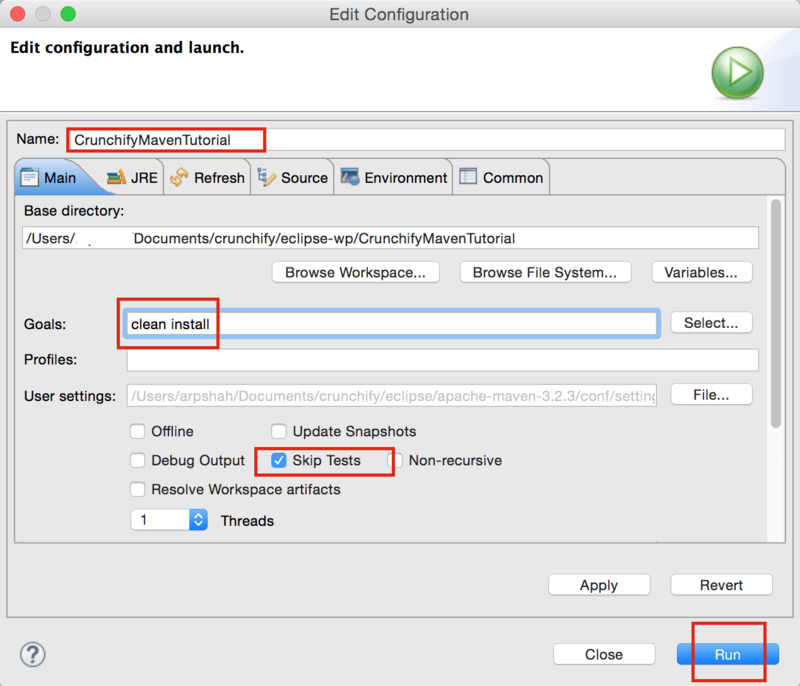 Here is a simple tutorial which you can go through to create Dynamic Web Project having Maven enabled in Eclipse. This project can be used as base project and can be easily converted to most kind of advanced Java project like Spring MVC based etc. 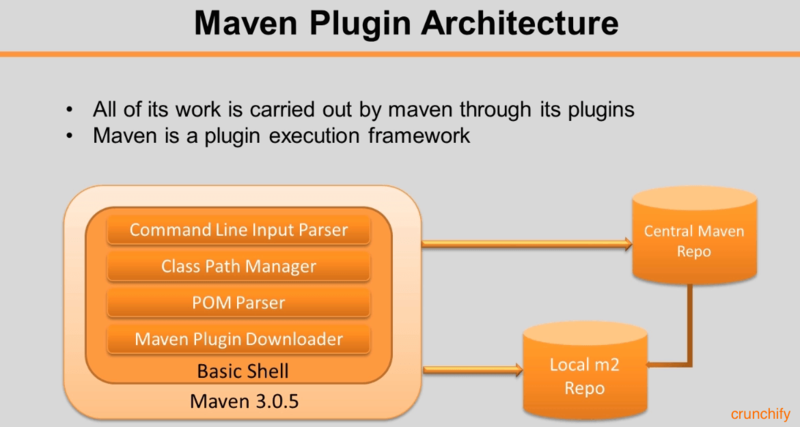 How to create a Web Application Project with Maven? 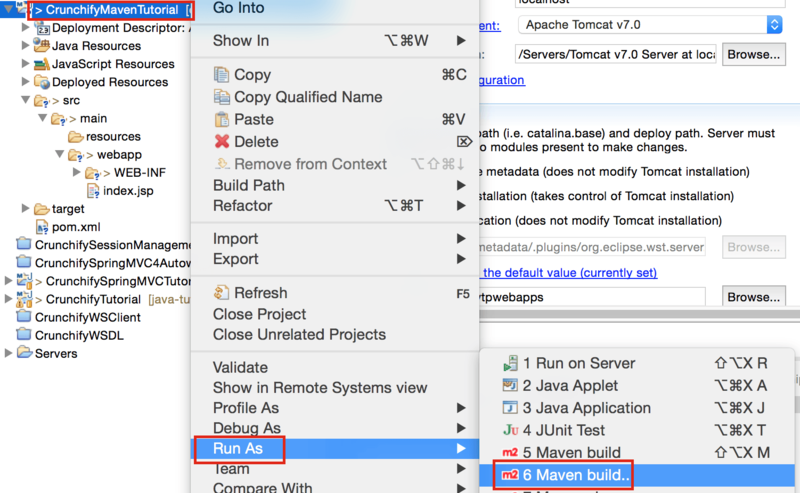 You have setup Maven and Apache Tomcat Server successfully in your Eclipse Environment. 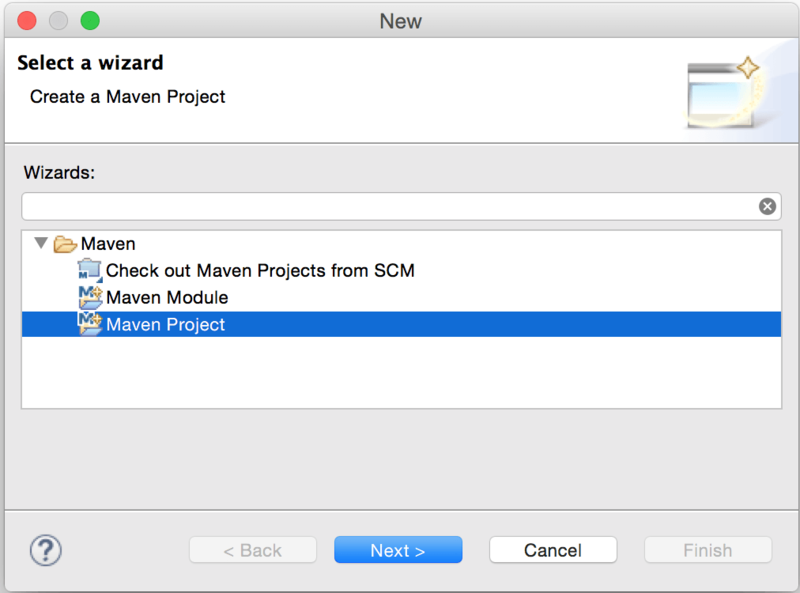 Create a simple maven Project in Eclipse. 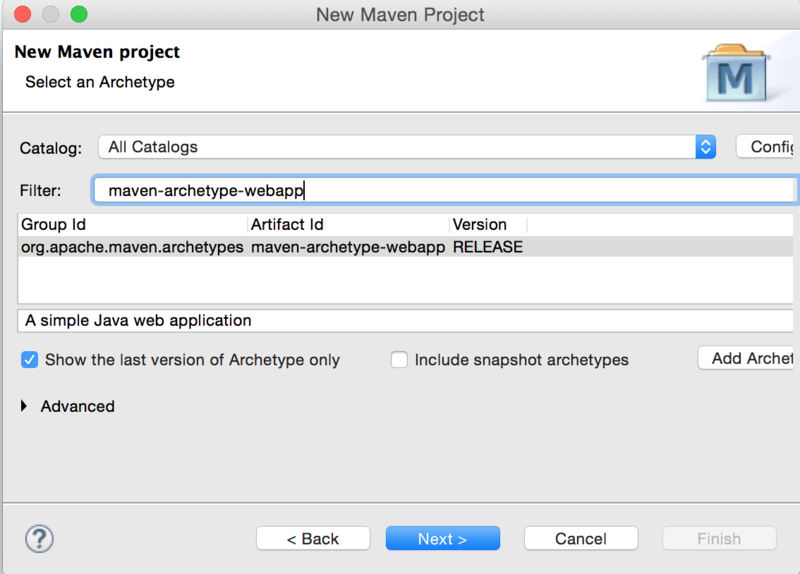 Select the maven archetype as: maven-archetype-webapp and click on next. Fill out below details and click Finish. 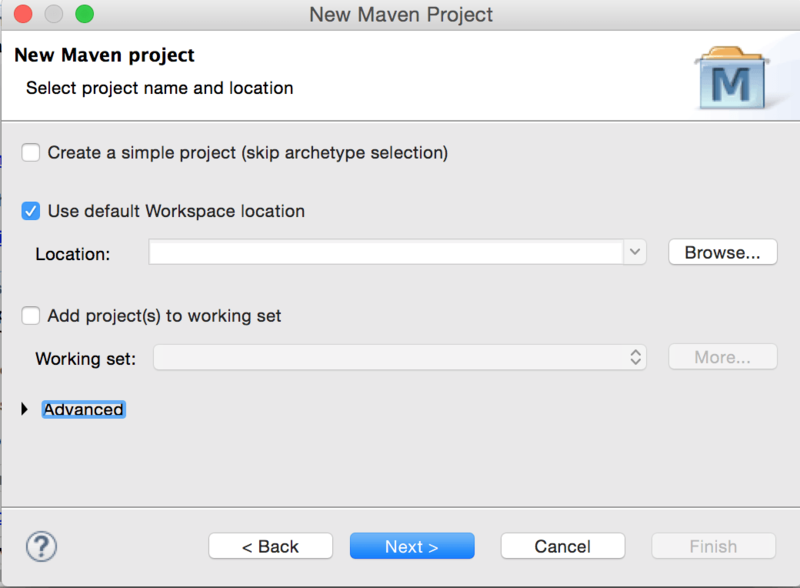 This step creates Maven Project in your Eclipse Environment. If you see error “The superclass “javax.servlet.http.HttpServlet” was not found on the Java Build Path index.jsp /CrunchifyMavenTutorial/src/main/webapp” then add below maven dependency. OR add Apache Tomcat to your Targeted Runtimes. Your Maven Project should look like this. Now build project with “Maven Clean Install” to check there isn’t any dependency issue with project. Deploy Application on Apache Tomcat Server. 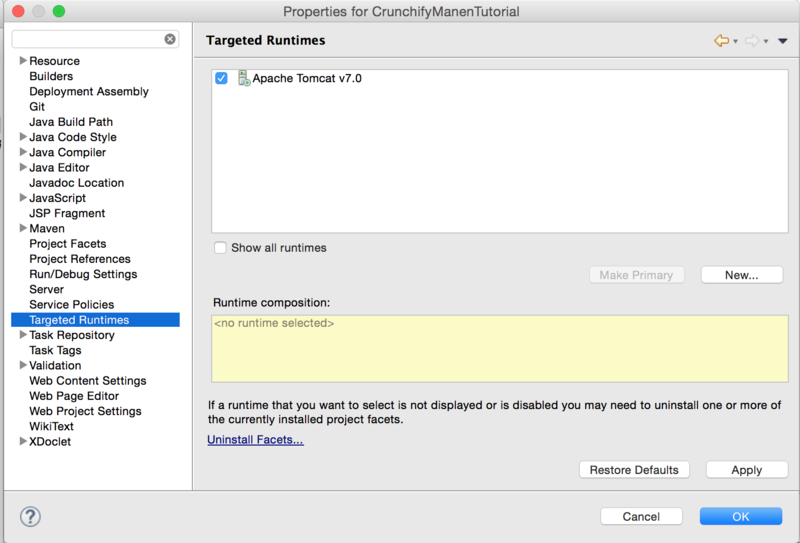 Right click on Server -> Add and Remove -> Select CrunchifyMavenTutorial -> Click Finish. Visit http://localhost:8080/CrunchifyMavenTutorial/index.jsp to see your result. I think this is related to missing or wrong settings.xml file. It’s not able to download maven-resources-plugin. Try downloading settings.xml file again. Make sure you are connected to internet and please reindex your maven repository. Hi Vishal – could you try maven clean install solution? Seems like some build issue. Could you try maven clean install solution? I followed the tutorial, ran the webapp in tomcat within Eclipse, and I can see the index.html page. But when I click on a button to use a servlet, I get a class not found exception. When I look in the target folder and the .war file contained in it, I can follow the package path to my servlet but it is a java source file, not a .class file. How can I get compiled classes in the .war file? Yeah you should get compiled classes in the .war file. I would suggest you to follow maven clean install tutorial. You are welcome Namita Nayak. Hello there, I’m pretty new to java and I’m trying to build a service with this tutorial. Hi Daniele – seems like a project build error. Try refreshing project in Eclipse IDE. Also, please send server side 404 Error log for debug. Hi Ankit. Could you please share complete stacktrace? Any error you noticed? Don’t forget to clean your eclipse workspace though. 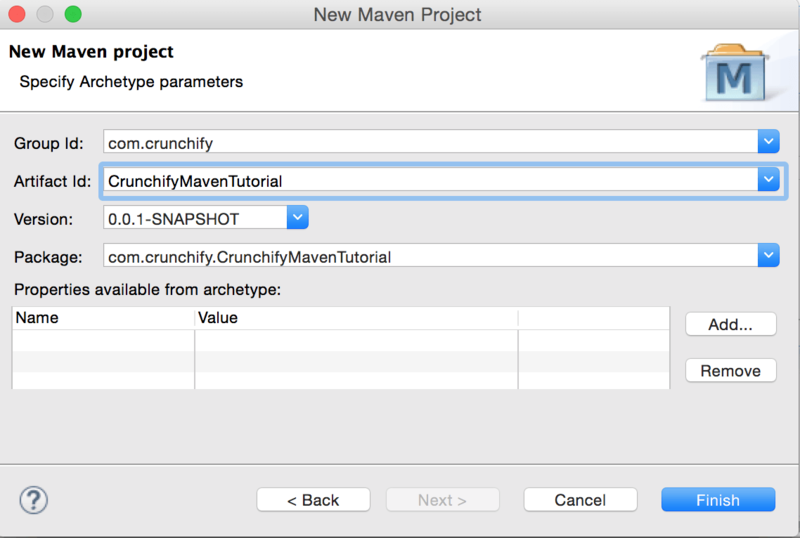 If in Step 3, you select maven-archetype-quickstart archetype then you will get src/main/java and src/test/java in your project structure. Even after following all the steps my Maven project dosent look like mentioned in Step 6. My project gets created as normal java application. Not as web application. can anyone explain why it may have been happening ? Thanks easy to follow steps !! Absolutely yes. I have created so many projects with that combination. But it did not work.I am getting the same error. Hi Kaustubh – could you try cleaning Eclipse project? May be below command works. You are welcome Shridhar kulkarni. Thank you very muc for this awesome tutorial. It was very simple for me to understand this post and perform the same in my eclipse! Thanks Abhishek. Happy coding and keep visiting. I am trying to achieve the same with Wildfly instead of Tomcat. Everything works, except at the end I get a 404. What’s the problem ? Hi Tim – unfortunately I never worked on Wildfly. Between are you getting any error msg? Any exception stacktrace you could share? Follow the steps correctly buddy,even I tried it with the WildFly server.Its working fine. Thanks a lot for the article .Everything went well but could see something calded error pages in deployment description.Can you please let me know what it is.I’m trying to open it but it’s not getting opened. Hi Soumya – could you please share some more details. I didn’t get your question. In the image you can see the red-x” error icon.I cross checked but could’nt find any errors all through.